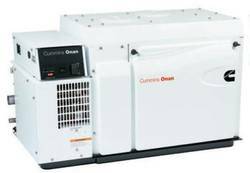 The Cummins Onan 23.7kVA 19.0HDKBV generator is computer controlled for constant speed operation. It is built with a unique sound controlled housing and sound shields, minimising noise and delivering better sound quality. There is a four-point semi focalised internal mounting system to reduce vibration.